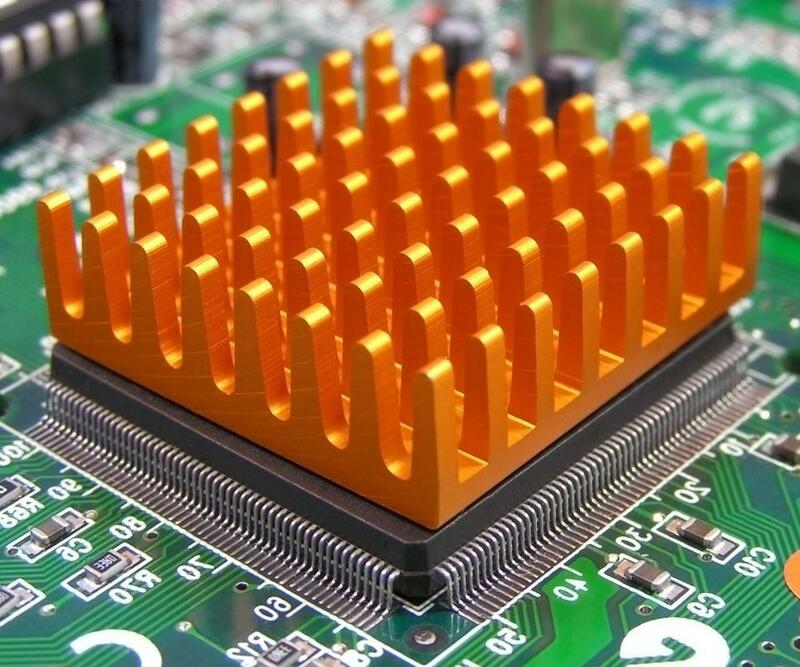 A heatsink is the part of a computer designed to move heat away from a computer's central processing unit. Socket 1366 is a central processing unit, or processor socket, that the world’s largest semiconductor manufacturer, Intel Corporation, makes for three of its CPU brands: the Core i7, Celeron and Xeon. The number 1366 stands for the number of pins it possesses. Released in 2008, Socket 1366 is also known as LGA 1366 or Socket B. The LGA prefix is actually an acronym used to describe its manner of integrated circuit packaging, which is called land grid array (LGA). Rather than have pin holes to accommodate the processor pins like several CPU sockets, LGA involves having the pins on the socket instead. The term grid array is used to describe the orderly arrangement of these pins in rows—as a 1.69-by-1.61-inch (43-by-41-millimeter) grid—on the socket’s square-shaped structure, with a 0.83-by-0.67-inch (21-by-17-mm) section cut off in the center. The socket itself measures 1.77 by 1.67 inches (45 by 42.4 mm). Socket 1366 uses an LGA variant called flip-chip land grid array (FCLGA). This means that the CPU’s die, which is the wafer of semiconductor material that stores the processor’s core(s), or processing unit(s), is flipped around to expose its back. This is the hottest part of the CPU, and the exposure allows the user to introduce a heatsink, a component that cools down certain electronic components. This promotes energy efficiency and reduced probability of processor malfunction. Intel primarily designed Socket 1366 for the Core i7, particularly the 9xx series, which it coincidentally introduced the same year. This is currently the top-level CPU division of the company’s premier Core brand. 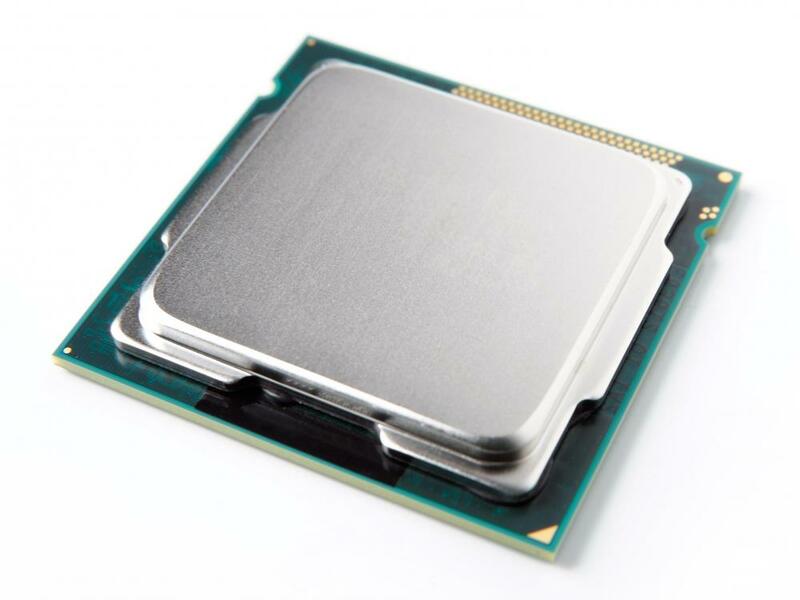 Socket 1366, however, is also compatible with Intel’s low-end Celeron brand, thus replacing the LGA 775, or Socket T, which had been introduced for its accommodation in 2004. Socket 1366 also replaced LGA 771, or Socket J, which was released in 2006 exclusively for Xeon, Intel’s CPU brand for servers, workstations and embedded systems. Like other CPU sockets, this 1,366-pin component is meant to connect the processor with the motherboard of a personal computer (PC) so that it can conduct data transmission. To achieve this, Socket 1366 uses Intel QuickPath Interconnect (QPI), which Intel introduced with the socket for its Core i7-9xx series. Similar to the HyperTransport technology of its main competitor Advanced Micro Devices (AMD), Intel designed the QPI for improved data transmission over the customary front-side bus interface (FSB). The Core i7-9xx series have data transfer speeds of 4.8 or 6.4 gigatransfers per second (GT/s), which means that with the QPI, they can conduct up to 4.8 or 6.4 billion transfers per second. What Is Flip Chip Technology? What Is a Socket 775 Heatsink? What Is an LGA Socket?